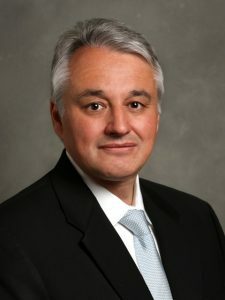 Trojan Battery, a leading manufacturer of deep-cycle batteries, has announced the appointment of Neil Thomas as President and Chief Executive Officer for the company,succeeding Jeff Elder. Elder, who has announced his retirement, will be available as a consultant to the company and will continue to be an investor in Trojan Battery enterprise. A robot named Pepper is not only state-of-the-art – it is becoming the face of the future. 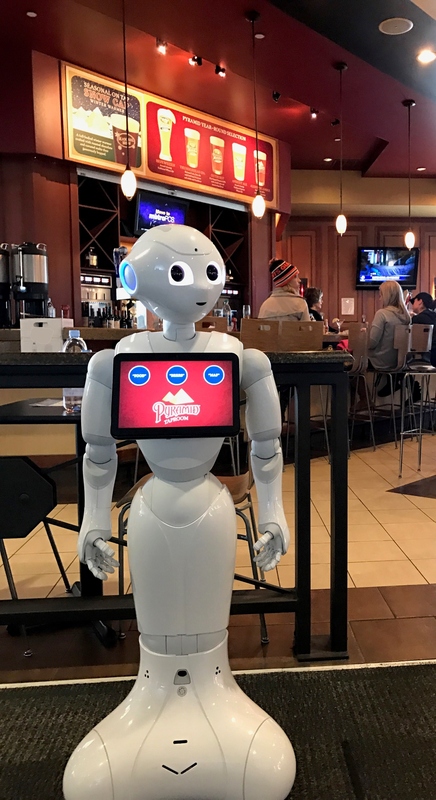 Travellers in the US this year may well encounter this helpful humanoid at various airports, following recent trials of the technology in both Asia and Europe. 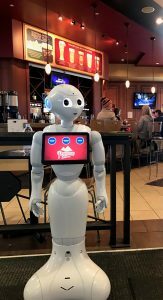 Standing four feet high, the robot is programmed to greet people and engage with passengers, as well as provide menu details and recommendations. At the time of writing this robotic novelty has been sighted on patrol at Montreal’s Pierre Elliott Trudeau airport as well as Washington Dulles, Los Angeles and Oakland International. Pepper can customise her features for each airport so her interactions with travellers will vary from location to location. At select airports Pepper also helps passengers with airport directions such as gates, the nearest toilets and finding other food and beverage options throughout the airport. Total Air Group and WheelTug have announced an expansion of their existing co-operation. In its expanded role as a risk-sharing partner, TAG will help finalise WheelTug’s test, maintenance and repair procedures, as well as assist in the development of training procedures for WheelTug-authorised mechanics and technicians. TAG will also provide mobile teams for WheelTug system installations and maintenance at customer sites, and handle some logistic functions for the WheelTug support network. The UTX Scissor Lift, which is made in Wisconsin, is designed to be fitted on to the back of an everyday utility vehicle but with one important difference – it can be quickly removed when not required. With a working height of up to 19 feet, something that can be achieved in under two minutes, it is a very versatile unit. The UTX deploys stabilisers for maximum security and is suitable for a one or two man operation. 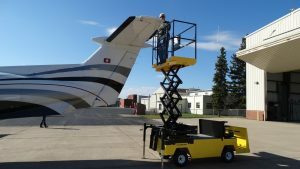 Since its release last year, the UTX Scissor Lift has found interest amongst municipalities, landscapers, builders, film crews, maintenance companies, farmers, hunters and railway operations, as well as airports and airlines. According to the manufacturer, the first airline to buy a fleet of UTXs wanted a quick response scissor lift. The facility was duly incorporated with an electric vehicle, permitting it to be used inside the terminal as well as out on the ramp. 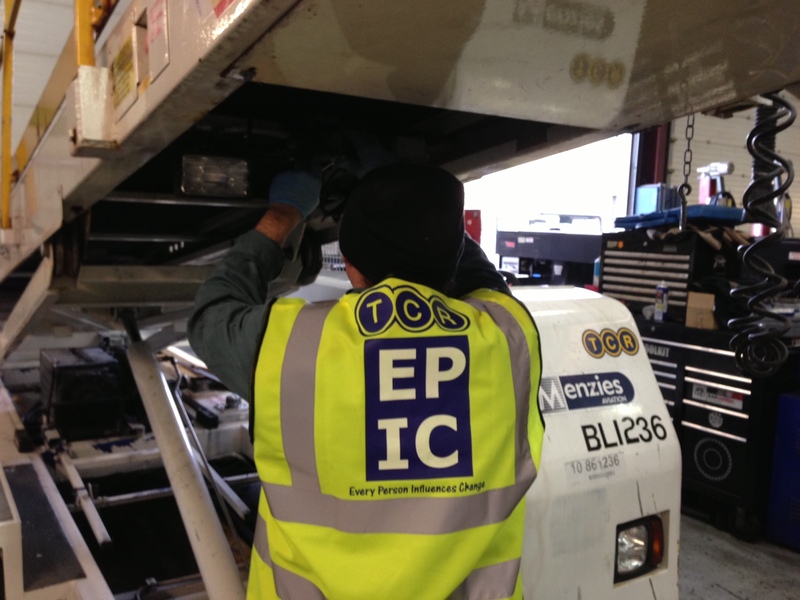 Whilst a traditional scissor lift has a maximum speed of 3-4 mph, this can go faster, according to the carrying vehicle. Helpfully, the UTX can be fitted to any utility vehicle that has a cargo box capacity of 1,000 pounds or more. Ingenious engineering means that removing the UTX from the utility vehicle takes under three minutes – and it can be stored off the ground, without any heavy lifting. Currently, the company is working on developing the US market before looking to the UK and Europe as potential sales areas. Tronair, a portfolio company of Golden Gate Capital, has announced the acquisition of Malabar and DAE. Founded in 1935, Malabar has been a key supplier of ground support and maintenance equipment for commercial and military aircraft, with its primary business in aircraft jacks, axle jacks (for changing aircraft wheels and tyres) and tripod jacks for in-hangar service of narrow-body and wide-body aircraft. Today, Malabar sells products in over 60 countries around the world and has expanded to include B787 and A350 coolant service carts, as well as hundreds of different types of fluid dispensers, test stands, weigh equipment, strut service equipment, nitrogen/oxygen equipment, wheel/brake equipment, engine stands and spares. TCR Americas has signed its first rental contract at T. F. Green International airport in Rhode Island. Under the new contract, 18 units of GSE will be dry-leased to QuickFlight Services for its new operations with Frontier Airlines. QuickFlight Services is a regional, independent ground handler in the US, whose headquarters are based in Ohio. Of the 18 units, says TCR, part of the fleet will be brand new and part will be refurbished GSE supplied by TCR’s joint venture partner, Aeroservicios. 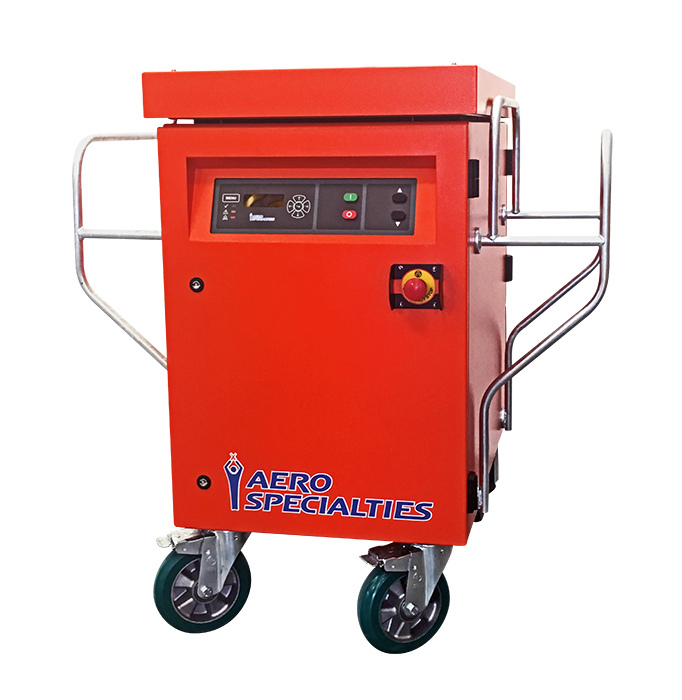 AERO Specialties has just released its newest line of solid-state aircraft rectifiers and frequency converters. Through a collaboration with Powervamp, AERO says that it now has the best value frequency converters and rectifiers available in the marketplace today. This updated line of 28.5V DC and 400Hz AC solid state ground power units have set new standards for safety, precision, reliability and ease of use. 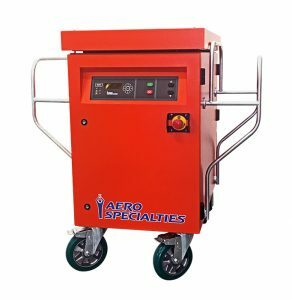 The newly launched products include portable, trolley-mounted, and towable options for 28V DC rectifiers, as well as 45kVA and 90kVA AC frequency converters. LATAM Airlines has unveiled a unique onboard dining concept for the Economy cabins of its long-haul international flights. On flights of seven hours or more, LATAM has replaced its traditional culinary offering, comprising several component parts, with a choice of individual gourmet dishes that are 50% bigger than the previous hot meals and come with fewer accompaniments. The main dishes are said to showcase Latin American, international and vegetarian cuisine. Passengers will be given a menu and able to choose from three options for lunch or dinner: a hot dish, vegetarian meal or a lighter cold option, accompanied by a drink and sweet snack. Breakfast will also include two options – all at no additional cost to passengers. The new catering concept was developed over 16 months together with catering experts at the Gategroup Innovation Centre in Amsterdam. During this process, LATAM carried out 14 in-flight trials and found that, on average, passenger satisfaction scores for overall in-flight experience had doubled with the new dining concept, compared to previous Economy service on long-haul flights. 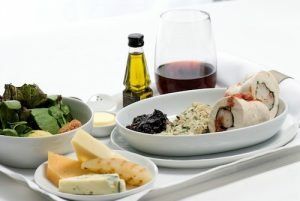 Over 300 new dishes have been created, which will be served to an average of 14,000 passengers on 64 flights each day. Two examples of the new dinner options include gnocchi with Parmesan sauce and slow-cooked lamb with ginger squash purée. The new dining experience is already available onboard flights to and from Chile and will be introduced throughout the airline group’s international network by the end of 2017. “We truly believe this innovative new dining concept is going to transform the way that passengers experience in-flight catering,” said Gategroup’s VP Customer Experience, Anne De Hauw. “At LATAM, we are committed to offering our passengers an unrivalled travel experience and they tell us that onboard dining is one of the most important differentiators,” said Claudia Sender, Senior Vice-President Clients, LATAM Airlines Group. “The passenger was central to every decision in the development process. We asked them what they wanted and collaborated with industry experts and our cabin crew to ensure it was deliverable on-board. Every detail was important to us – from the ingredients used to how each dish is prepared and served,” she added. 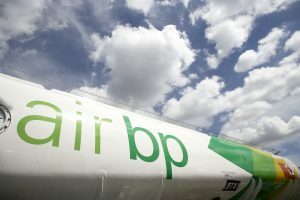 On November 8, Air BP supplied biojet to its customers at Chicago O’Hare International airport in support of the “Fly Green Day” initiative taking place at the airport – and as part of the company’s broader commitment to a lower carbon future. The occasion marks the first time that biojet has been delivered via the airport’s existing fuelling infrastructure to customers at one of the world’s busiest airports. Biojet is a blend of conventional jet fuel and renewable jet fuel, usually made from alcohol or plant and vegetable oils. Fly Green Day is an event organised by US advanced renewable fuels company Gevo, in collaboration with Chicago O’Hare International, to help boost the commercialisation of biojet. At Minneapolis-Saint Paul International, ramp agents working for Swissport have voted to become members of Teamsters Local 120. In all 114 service providers, who look after baggage handling at the station, have joined Swissport’s aircraft refuellers, who are already represented by the union at the airport. Wages, health care, turnover and safety were the main issues workers cited as their reasons for joining Local 120; indeed, these subjects have been aired many times over the last couple of years in a variety of sectors within the US, as lower paid employees have struggled to make their voices heard. During the process a number of volunteer organisers from US Foods assisted the ramp agents, telling them what to expect from management after they had filed for an election.